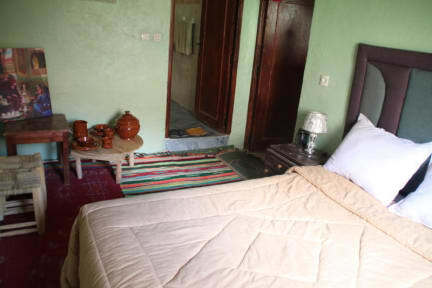 The Guesthouse Gite Atlas Mazik offers simple accommodation compatible with budget travelers wishing to explore the valley of Ait Mizan and the massif of Jebel Toubkal, the highest peak in North Africa. Guests enjoy a panoramic view of the Berber villages clinging in the snowy mountains of the Atlas from the balconies of the guesthouse. The family owns a mule that will carry your luggage and / or tired children! From the price of 7.00 euros with breakfast. One of the best places (not just out of hostels) I have ever stayed in. Owned by a local family, Hassan can sort out literally anything and nothing is a problem. Food was amazing, you can get dinners too. Views were fantastic and other guests were super friendly. 10+! 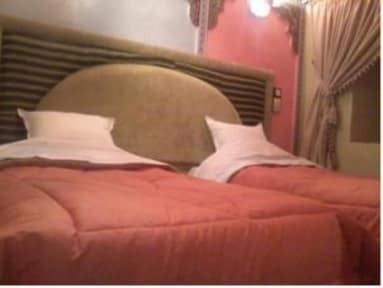 The perfect stay! They invited us to Hamam and made reservation in base camp, what we had forgoten to do. Such an amazing place to stay and with such wonderful people. The family are very welcoming and make you feel at home. Wonderful views from rooms and the terrace. Bit of a dousey to find but very worth being lost for. When you see the sign (right where the dot on hostel world puts it) follow down past those houses and across the small wooden bridge. Follow the dirt footpaths into the village on the other side and the accom is under the new looking mosque. Would highly recommend! To be understood this is a simple and warm berber house. The family is great and we felt like part of the family at their home. The facilities are basic, this is mountain living Morocco so dress well in winter. We did not have sleeping bags, but the thick wool blankets did a great job. I would go there again. We were very happy with Hussain's attitude. We found the house quickly. He welcomed us, prepared good food and we had a chance to live in a real berber house for a day. They can put a little bit more effort in the facilities to have great score. All in all very happy with this house. Can't really rate "Gite Atlas Mazik" because I never found it! I did however find the sister site, the lodge. My understanding is that the gite is being renovated. However the lodge was lovely, got a private room, good bathroom, fast wifi and free breakfast. I paid a bit more than I was hoping but overall was still good value.